Nose Revision Surgery and Surgeons: Well known nose revision surgeons in United States of America, & elsewhere. Plus information about choosing a surgeon and about nose grafts. All these American surgeons are experienced in using rib autografts (from your own body) or rib allografts (from cadaver) cartilage. Autografts (autologous grafts) are considered the most preferred option for grafting by many top revision rhinoplasty surgeons. Most harvesting of such grafts are taken from your own septal, ear, or rib cartilage & placed elsewhere within the nose to help reshape, strengthen or rebuild the structural framework of your nose. A smaller number of surgeons prefer using allograft (homologous grafts from cadaver) cartilage which are pre-treated by exposing them to doses of radiation to reduce or eliminate chance of transferring pathogens onto the recipient patient. They are commonly referred to as Irradiated homologous rib grafts or IHRG's. It is possible & even recommended in some cases to use a combination of autografts and allografts for certain individuals. Feedback on any of these or other nose surgeons are welcomed. NOTE: This list does get updated! Last updated July 30, 2016. For those needing nose reconstruction due to illness or accident Dr. Menick (cert.1983) in Tuscon Arizona and Dr. Gary Burget (cert.1980)in Chicago are highly recommended. Septal cartilage in the nose is the best choice of all the autograft cartilage options. Rib (costal) cartilage is next best option for a nose that requires a lot of cartilage to restore the main framework of the nose. Ear (auricular conchal) cartilage is another option but not nearly as strong as rib or septal cartilage. However because of it's shape & ease of access it can be a good choice for specific area's like rims of the nose. AUTOLOGOUS (AUTOGRAFTS) cartilage (from the ribs, ear, septum) and bone (iliac crest, calvarial, ethmoid plate, septum) is preferred by a number of top revision surgeons over synthetic material commonly referred to as ALLOPLASTS! Most commonly used alloplasts are Medpore, Gore-Tex and Silastic. ALLOGRAFTS (from cadavers) is another option although still considered by many studies inferior to autologous grafts due to resorption but arguably superior to alloplasts for most but not all area's of the nose. XENOGRAFTS (i.e. Porcine tissue) are rarely used or used for very specific purposes. A combination of the above types of grafts may be used in specific cases where one's own donor cartilage is not the best option for specific area's of the nose due to the naturing quality of the cartilage. For Those Who suffer with Empty Nose Syndrome, Dr.Stephen Houser (cert. 5/10/1999) is highly recommended. He places alloderm (cadaver skin tissue) in nose to deflect air on inspiration as the turbinate does. This turbinate replacement surgery is a new procedure developed by Dr. Houser. So beware of doctors who want to remove any amount of turbinates from your nose, there can be very serious and permanent side effects. Make sure the surgeon doesn't remove the bone part of the turbinate unless absolutely necessary (outfracturing is a safer option) and keeps as much mucosa as possible. Even removing 1-2cm of anterior portion can be too much and can have serious side effects, i know from experience. If you have turbinate surgery the safest ways to reduce enlarged turbinates is by somnoplasty, or using a microdebrider. Do not believe that removing the 'anterior portion' of the turbinates is totally safe (especially if you had previous lateral &/or posterior partial removal of the same turbinate). That's not true, it can lead to serious problems. Your surgeon may argue you have superior and middle turbinates that can still do the job, do not accept that form of rational. Your better off finding another surgeon. I say this from experience and to protect you from not becoming another victim of empty nose syndrome. Your turbinates exist for a reason, and the 3 sets have different role functions which can't be overstated. Due to nose surgery and due to other reasons your turbinates can swell up and remain too enlarged for proper breathing. If this is your situation then consider the two of the most safest procedures i mentioned; microdebrider surgery or somnoplasty. Get your surgeon to examine if you have nasal valve collapse or deviated septum which can also cause your turbinates to overreact. However, many e.n.t. 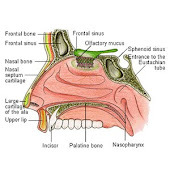 's don't understand how to properly assess nasal valve collapsing nor how to repair it. You may have to travel outside your city , state/province or even country to get an expert opinion. If you can't find an e.n.t who is a facial plastic surgeon in your city who can do that for you , you should seek out a Plastic & Reconstructive Surgeon who is board certified in your city, that specializes in nose revision surgery. Differences Between an E.N.T, Facial Plastic Surgeon and General Plastic & Reconstructive Surgeon. "The Board is neither an educational institution nor a licensing body, and the certificates it issues are neither degrees nor legal licenses to practice medicine or the specialty of facial plastic and reconstructive surgery". See link http://www.abfprs.org/about/about.cfm. I mention this because it can be confusing and misleading when you're told by some offices that the surgeon is double board certified in Facial Plastic Surgery and as E.N.T. 's (Otolaryngologist). Otolarynogology is a sub-specialty which residency program is 5-6 years in total after graduating from Medical School. In very rare cases are there surgeons who are double board certified in two educational and licensing specialties, such as General Plastics & Reconstructive surgery and as a Otolaryngologist. General Plastic & Reconstructive Surgery is also a sub specialized program for medical school graduates which takes 5 to 6 years of residency in total. This doesn't mean an e.n.t./facial plastic surgeon can't do as good a job or better with a facial cosmetic procedure, as a plastic surgeon. It all depends on his/her level of personal ability, expertise, training and experience. However a Facial Plastic Surgeon certified by the ABFPRS tells you that the surgeon is a E.N.T. who's focus and main specialty is directed at facial cosmetic and reconstructive procedures and has gained the qualifications necessary to be certified by the ABFPRS. Also general plastic and reconstructive surgeons usually end up sub-specializing in doing certain specific surgery's. Some (I would say small percentage) are interested in revision rhinoplasty but not a large number. If you suffer with enlarged turbinates, sinus problems, polyps an E.N.T. is well trained to assess those kind of pathology issue's rather than a general plastic surgeon. I myself suffer with nerve damage in the lower portion of the nose (tip and base regions) which is very painful and has to be treated with medication specific for neuropathy, such as Lyrica. This result occurred after a revision nose surgeon in Toronto operated on me in 2005. He cut a lot of tip cartilage and scar tissue from my nose in order to lower the high tip angle, and negligently cut off what was remaining of my inferior turbinates which wasn't causing me a problem in my left nostril. He had made the rhinoplasty conditional upon me having both sides of my turbinates reduced, even though he was well aware I had two prior turbinectomies plus a cauterization on them many years ago. He promised to use ear cartilage grafts in my nose (the main reason i went ahead and traveled to have surgery with him) and during surgery decided not to do so. (which was written in the agreement). Always check if your doctor is Board Certified and Check with the State/Province the surgeon works in if they have had any disciplinary action and malpractice judgments. Please Note: Even though there may not be any disciplinary action or suspensions against a doctor, that doesn't mean they haven't had serious complaints or personal law suits brought against them. You can check with law courts for more information. The Colleges & Medical boards do protect their member physicians from complaints & will very likely side with them unless there is gross negligence. So perform search's online by searching the doctors name and see what you can find out as well . The more info you find the better. DO NOT CHOOSE A DOCTOR BASED ON AN AMAZING WEBSITE AND GREAT WEBSITE NAME. A DOCTOR WHO JUST GRADUATED FROM MEDICAL SCHOOL CAN DO THAT. DO NOT CHOOSE A DOCTOR FOR THE SIMPLE REASON THAT THEY'RE KNOWN AS A CELEBRITY DOCTOR OR HAVE MADE APPEARANCES ON TV SHOW'S. KEEP IN MIND REVISION AND RECONSTRUCTIVE RHINOPLASTY IS MUCH MORE COMPLICATED THEN PRIMARY RHINOPLASTY. DO NOT CHOOSE A DOCTOR THAT YOU HAVE DOUBTS ABOUT (RED FLAGS)ESPECIALLY IF YOUR QUESTIONING HIS/HER KNOWLEDGE,ABILITIES, EXPERIENCE, FEEL YOUR NOT ON THE SAME PAGE, SIMPLY DON'T FEEL COMFORTABLE WITH OR TRUST. YOU HAVE TO LISTEN TO YOUR GUT FEELING. DON'T BELIEVE THAT ANY NOSE SURGEON CAN SIMPLY FOLLOW A SURGICAL PLAN THAT WAS DEVELOPED FOR YOU BY ANOTHER NOSE EXPERT SURGEON YOU HAD SEEN PREVIOUSLY, AND WILL BE ABLE TO DELIVER THE SAME POSITIVE SURGICAL RESULTS. DO NOT FALL FOR THE BELIEF THAT A NEW SURGEON WILL BE MORE UP TO-DATE WITH THEIR METHODS AND PRACTICES THEN AN OLDER SURGEON. THIS MAY BE TRUE IN CASES WHERE THE OLDER EXPERIENCED SURGEON HAS NOT KEPT UP TO-DATE WITH NEW SURGICAL TECHNIQUES BUT NOT IN ALL CASES. ALSO NEW SURGEONS VARY GREATLY IN THEIR EDUCATION AND TRAINING. THEY ARE NOT ALL EQUAL EITHER. REMEMBER THESE SO CALLED NEW TECHNIQUES THAT THE NEW SURGEON HAS LEARNED ARE TECHNIQUES THAT PIONEERS IN THE FIELD DEVELOPED IN THE FIRST PLACE. SO IT'S MORE ADVANTAGEOUS FOR YOU TO KNOW IF THE YOUNGER/NEWER SURGEON COMPLETED A FELLOWSHIP PROGRAM & WHICH SURGEON DID THEY DO THEIR SURGICAL TRAINING WITH. ANOTHER OPTION YOU HAVE OF COURSE WOULD BE TO DIRECTLY SEEK OUT ONE OF THE PIONEERS IN THE SPECIALIZED FIELD. DO NOT GO WITH SOMEONE WHO WON'T SHOW YOU BEFORE AND AFTER PICTURES. DO NOT CHOOSE A DOCTOR BASED ON PRICE ALONE. THE CHEAPEST OR THE MOST EXPENSIVE, MAY NOT BE THE BEST AND MAY CAUSE YOU TO HAVE MORE SURGERY. HERE AGAIN, ONE HAS TO CONSIDER EXPERIENCE IN THE TYPE OF SURGERY YOU NEED. IT'S HARD AT FIRST TO KNOW WHAT YOU MAY NEED THAT'S WHY YOU NEED TO DO A LOT OF RESEARCH AND SEE FEW OF THE TOP SURGEON'S IN THE FIELD. DO NOT GO WITH A DOCTOR WHO EXAGGERATES NUMBER OF NOSE SURGERY'S DONE IN A YEAR. IT'S POSSIBLE TO DO OVER 200 NOSE SURGERY'S IN A YEAR WHICH IS ABOUT 4 PER WEEK BUT IF THEY SAY OVER 300 THAT IS A PRETTY HIGH NUMBER. AND EVEN IF THEY DID MORE THEN 200 IN A YEAR, IT DOESN'T MEAN THEIR BETTER THEN SOMEONE WHO DOES 125 IN A YEAR. WHAT'S IMPORTANT IS HOW MUCH OF HIS PRACTICE HE COMMITS TO NOSE SURGERY AND REVISION SURGERY AND YEARS IN PRACTICE. SOME NOSE SPECIALISTS DO LONGER PROCEDURES ON THE NOSE AND ARE NOT CONCERNED WITH THE QUANTITY THEY DO BUT THE QUALITY OF THEIR WORK. MOST IMPORTANTLY IS HOW MANY SURGERY'S OF THE TYPE OF SURGERY YOU SPECIFICALLY NEED, HAS THE SURGEON PERFORMED. LET THE SURGEON WHEN MEETING WITH HIM/HER FOR THE FIRST TIME, TELL YOU WHAT THEY THINK THE PROBLEM AND SURGICAL PLAN IS, BEFORE TELLING THEM WHAT ANOTHER TOP SURGEON YOU HAD SEEN RECOMMENDED. DON'T INFLUENCE THERE DIAGNOSIS AND THOUGHTS. YOU WANT A UNBIASED OPINION. FOR OUT OF TOWN PEOPLE USE EMAIL OR PHONE OFFICE TO CONTACT SURGEON EXPLAIN YOUR SITUATION, BUT DON'T EXPECT A DIAGNOSES UNTIL YOU VISIT IN PERSON. ASK THE OFFICE IF YOU CAN HAVE A SKYPE INTERVIEW. MAKE SURE, [IF YOU CAN] TO WAIT AT LEAST 2 YEARS FROM THE PREVIOUS SURGERY SO ALL SWELLING IN NOSE IS GONE BEFORE GOING AHEAD WITH ANOTHER SURGERY. FIRST OF ALL THIS GIVES YOU TIME TO RESEARCH AND FIND THE RIGHT DOCTOR. SECONDLY, IT GIVES YOU A CHANCE TO GET USE TO YOUR 'NEW' NOSE. CHANGES OCCUR OVER TIME, NOT JUST AESTHETICALLY BUT WITH FUNCTION AS WELL. YOU MAY OVER A FEW YEARS REALIZE YOU CAN LIVE WITH YOUR 'NEW' NOSE BY USING NON INVASIVE TREATMENTS. SEE MY POST ON NON INVASIVE NOSE TREATMENTS. MAKE SURE BEFORE HAVING THE SURGERY, THAT YOU HAVE A COPY OF THE PRE-PLANNED SURGICAL AGREEMENT FORM AND IT IS SPECIFIC AND PROFESSIONALLY WRITTEN. THIS IS CRITICAL ESPECIALLY IF YOU GO AHEAD WITH THE SURGERY AND LATER FIND OUT THE DOCTOR DIDN'T PERFORM WHAT WAS PROMISED ON THE FORM OR DID PERFORM SOMETHING THAT WASN'T AGREED TO!!! YOU HAVE TO COVER YOURSELF. YOU SHOULD GET THIS PRE PLAN AGREEMENT FORM FROM THE SURGEONS OFFICE. MY LAST SURGEON IN TORONTO HAD WRITTEN DIFFERENT OPTIONS ON THE FORM FOR WHAT TYPE OF CARTILAGE HE WOULD USE, AND HE USED THE CONSENT FORM PART WHERE IT SAY'S IT WAS THERAPEUTIC TO DO AN ALTERNATIVE SURGERY... DUE TO HIS FINDINGS DURING THE SURGERY....THIS WAS HIS EXCUSE (WHICH IS ALL IT WAS, WAS A COP-OUT) IN NOT PLACING EAR CARTILAGE GRAFTS IN MY NOSE AS WAS PROMISED AND STATED ON THE SURGICAL PLAN AGREEMENT FORM!!! IF YOU FOR EXAMPLE ARE WORRIED THAT YOUR SURGEON MAY REMOVE PART OF YOUR TURBINATES DURING SURGERY THAT YOU DON'T WANT TOUCHED THEN ASK THE SURGEON TO STATE HE WON'T TOUCH THEM ON THE AGREEMENT FORM. Wow, thanks for sharing! A lot of good information here. I wish I would have read this BEFORE my primary and I probably wouldn't be wasting so much time and money looking for a good PS for my revision. Thanks again...good stuff. I'm sure you have learned more about rhinoplasty and revision rhinoplasty then most surgeons. I also am the victim of unexperienced doctors that botched my nose functionally and aesthetically. The really fooled me. One of the doctors actually bought a house on the day he did my revision rhinoplasty. It seems they had many unhappy patients in that same month. Both doctors also took vacations that month. No conscience at all. I am in desperate need of a revision, but I'm having a tough time trusting anyone again. Thanks for posting this very helpful website. I hope it helps many people, so they don't become victims like us. By the way, who fixed you? I feel for you. I am in the same situation. I went to a doctor that did not care and ruined my life and affected the lives around me, because he did not care and did a horrible job. His numerous lies he told me to gain trust and to get my money for his greed. I don't know how he lives with himself and sleeps at night and he calls himself a doctor. I will never trust another doctor of any kind the rest of my life because of this doctor. I am grateful for this website and wished I would of found it before I ruined my life. I hope it saves someone from the misery I suffer and will suffer the rest of my life, because of this doctor. Hello and thank you for this great resource. I was wondering if anyone has feedback on Dr. Thomas Le? do you know of any surgeons in the north east that you have received positive reviews? Thank you in advance. Anyone know about Dr Peter Hilger? Did you ever go to Hilger? Thank you very much for your advice. It is very true and useful. after two surgeries - one in which my rib was used to repair internal/external nasal valve collapse. Can someone please recommend a surgeon, who will see me prior to the one year post-op benchmark? -Has anyone had positive results with a tertiary surgery? -Am devastated and am praying for an answer!